Nothing says spring like pretty lippies! Although I’m sad to see winter go because I didn’t get to wear all of my fav winter wear due to the unseasonably warm winter we had at the beginning, but as my mom would say, “get over it,” so I’m now looking forward to spring! I started digging out my fav lippies for spring over the weekend. Here are a few that I’m looking forward to wearing! From left to right: Wet n Wild just peachy, MAC heroine, MAC pink plaid, MAC men love mystery, NYX high voltage play date, NYX high voltage twisted, Wet n Wild mauve outta here, Maybelline colorsensational orchid ecstasy. 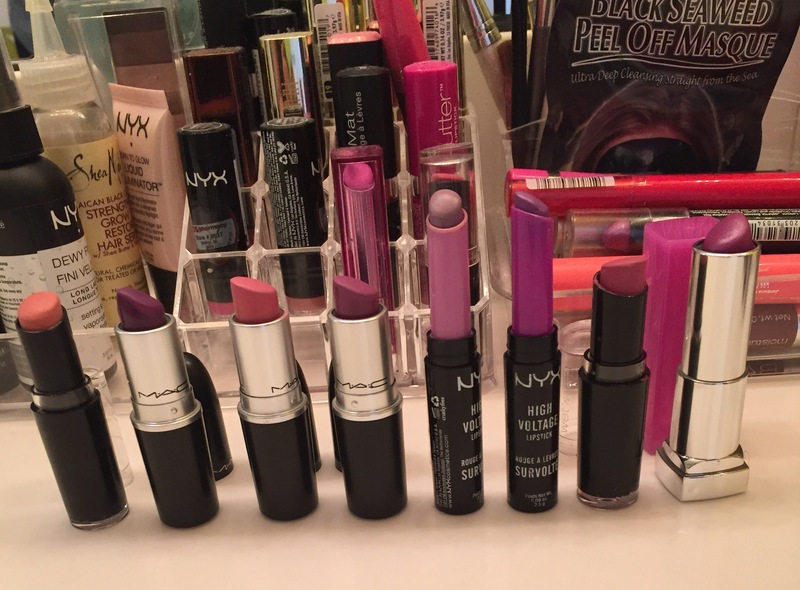 What are some of your fav lippie colors to wear for spring?